Electric car drivers in Lincolnshire can now charge their vehicles using rapid chargers at the Deeping Shopping Centre. The chargers have been installed in partnership with InstaVolt and offer contactless credit or debit card payment with no connection fee, minimum charge or monthly subscription fee. Drivers don’t even need to register or set up an account first. 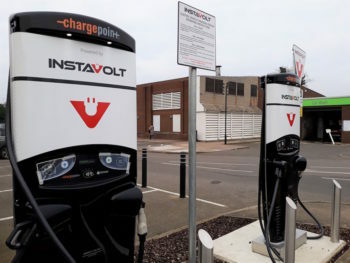 The chargers have been installed for free by InstaVolt, which is also providing free maintenance; the business makes its money from the sale of electricity to drivers.